From the airport there is a really nice bus that takes you downtown and back for a few euros. We left our luggage at a deposit at the airport and decided to explore my ancestor's country. Statues above the Arco da Rua Augusta overwatch the Praça do Comércio. The inscription reads "Virtues of the Biggest will serve to all as a teaching. Dedicates to public expenses." On the other end of the square is the rio Tejo. In 1755 during the earthquake hundreds of people fled to the open space of the square and watched as the river receded and returned in full force and huge waves of a tsunami. After a visit to the square we took a tram to the Mosteiro dos Jerónimos. 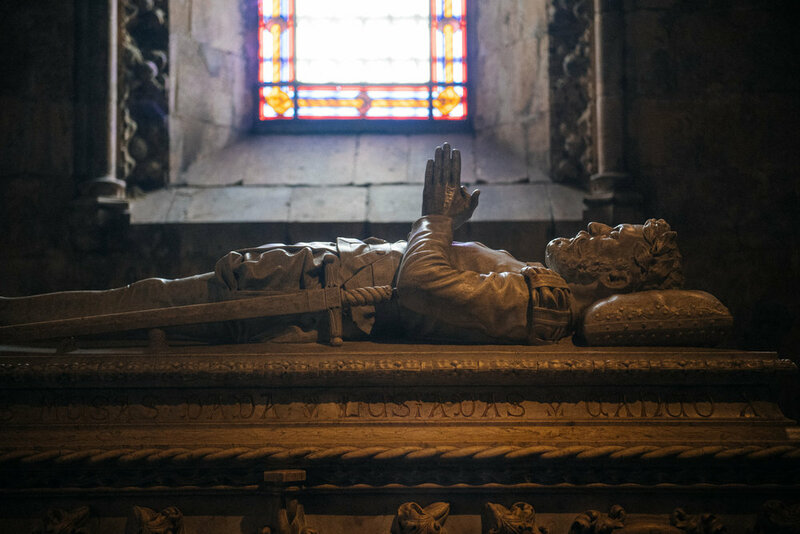 It is a fantastic monastery built in the 16th century and final resting place to several kings, and most notably to Vasco da Gama, the first to sail from Europe to India, and Luís de Camões, father of the modern Portuguese language. The monastery is closely linked to the history of the age of discovery as many explorers visited this place before and after their journeys. Luís de Camões, author of he Lusíadas, lost an eye in battle and told stories of his voyages to the east. Vasco da Gama was the first to reach from Europe by crossing the Cape of Good hope. 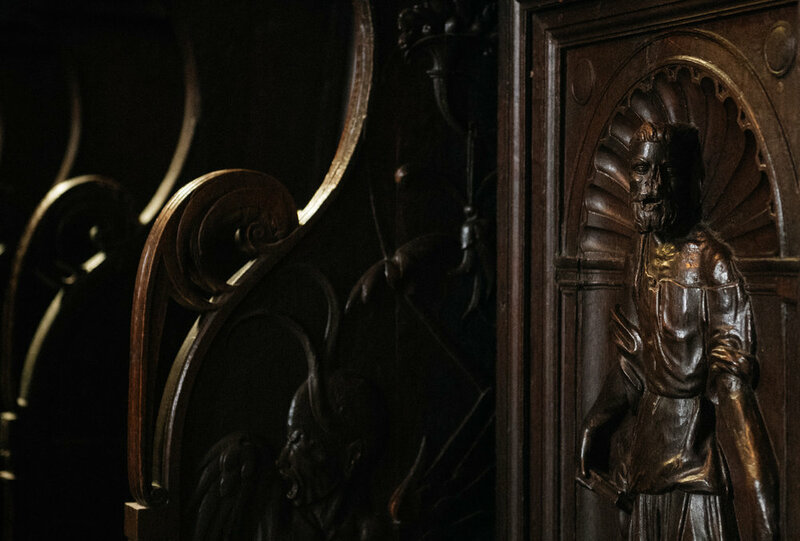 Creepy devils decorate the church in the monastery. A broken off nose gives this statue a zombie like look. This statue of Christ was sculpted by Filipe de Vries in 1550 and is stunningly realistic. That day a play was being performed in the monastery. Although my native language is Portuguese, albeit from Brazil, I could barely understand classic Portuguese and was not able to follow the storyline of the play. A short walk from the monastery is the famous Torre de Belém, probably the most famous landmark of Portugal. It was built as a defense tower to protect commerce from the east and Brazil. 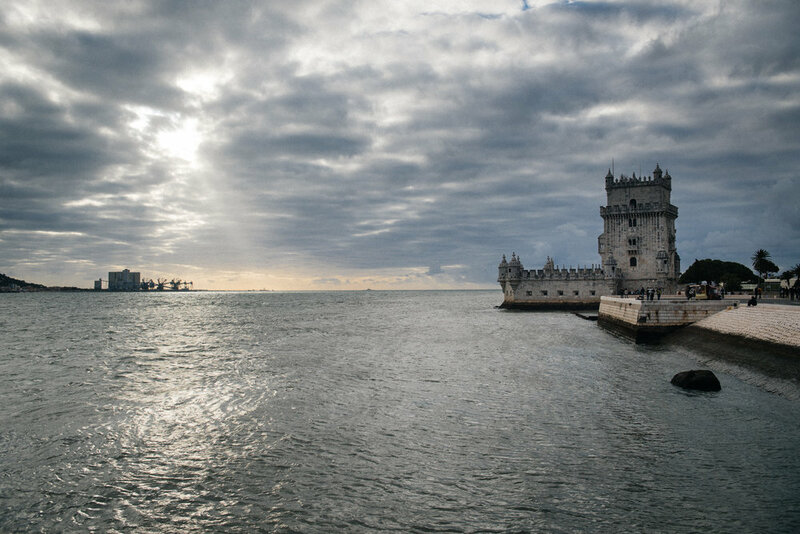 The Torre de Belém used to be surrounded completely by water. Today with modern changes it is almost at shore. It was a cold windy autumn day. A couple hugs for a selfie inside the tower. From the top of the tower one could see far into the Tejo and see any ships arriving. After that quick few hour long stroll, we headed back to town and then to the airport. I'll sure be back soon! If you like my pics, please follow on Instagram and YouTube!